The Simon effect represents a phenomenon in which the location of the stimuli affects the speed and accuracy of the response, despite being irrelevant for the task demands. This is believed to be due to an automatic activation of a response corresponding to the location of the stimuli, which conflicts with the controlled decision process based on relevant stimuli features. Previously, differences in the nature of the Simon effect (i.e., the pattern of change of the effect across the distribution of response times) between visual and somatosensory stimuli were reported. We hypothesize that the temporal dynamics of visual and somatosensory automatic and controlled processes vary, thus driving the reported behavioral differences. While most studies have used response times to study the underlying mechanisms involved, in this study we had participants reach out to touch the targets and recorded their arm movements using a motion capture system. Importantly, the participants started their movements before a final decision was made. In this way, we could analyze the movements to gain insights into the competition between the automatic and controlled processes. We used this technique to describe the results in terms of a model assuming automatic activation due to location-based evidence, followed by inhibition. We found that for the somatosensory Simon effect, the decay of the automatic process is significantly slower than for the visual Simon effect, suggesting quantitative differences in this automatic process between the visual and somatosensory modalities. We thank Maayan Ben Nun for performing the data collection. Friedman, J. (2014). Repeated measures (computer software). https://doi.org/10.5281/zenodo.10438. Horowitz, J., Majeed, Y. A., & Patton, J. (2016). A fresh perspective on dissecting action into discrete submotions. In 2016 38th annual international conference of the IEEE Engineering in Medicine and Biology Society (EMBC) (pp. 5684–5688). Presented at the 2016 38th Annual International Conference of the IEEE Engineering in Medicine and Biology Society (EMBC). https://doi.org/10.1109/embc.2016.7592017. Simon, J. R. (1990). 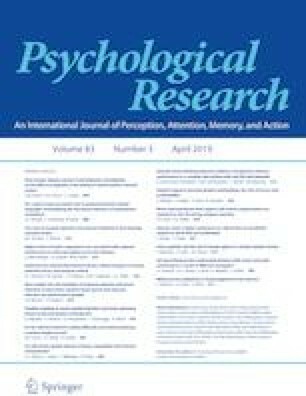 The effects of an irrelevant directional cue on human information processing. In R. W. Proctor & T. G. Reeve (Eds. ), Advances in psychology (Vol. 65, pp. 31–86). North-Holland. https://doi.org/10.1016/s0166-4115(08)61218-2.